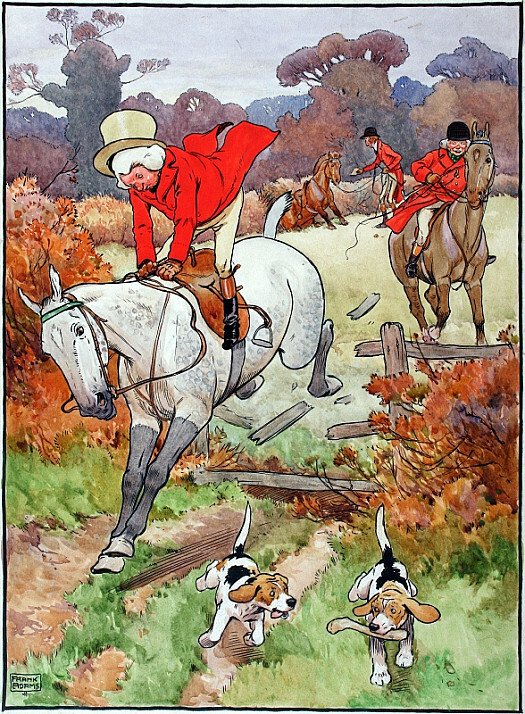 Frank Adams established himself as a picture book illustrator in the early 1900s with such crisp and witty colour images as those to The Frog HeWould A-Wooing Go (1900).These, and later illustrations for Blackie, show the influence of London Sketch Club members, especially Cecil Aldin and John Hassall. 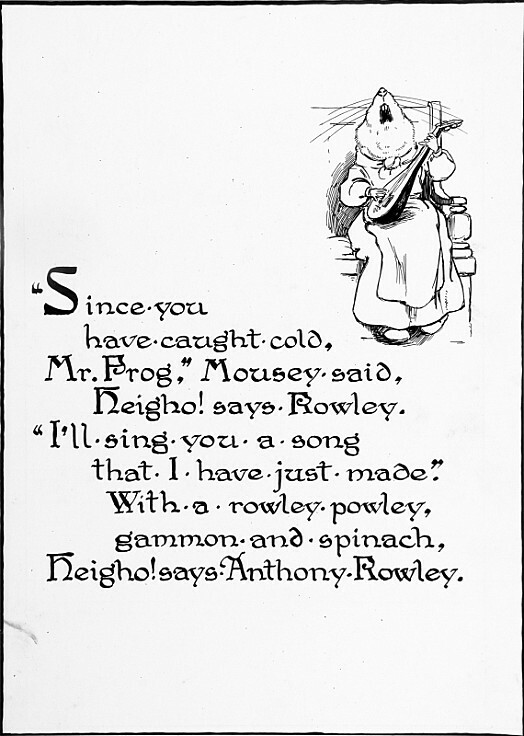 Indeed, he would later collaborate with Hassall, among others, on The Golden Budget of Nursery Stories (circa 1930). Adams also illustrated books for adults, including editions of classic poetry and prose, notably Isaac Walton’s The Compleat Angler (1930), Thomas Gray’s Elegy Written in a Country Churchyard (1931) and Matthew Arnold’s The Scholar Gypsy (1933). These tend to include landscape sketches reflective of the watercolours and drawings he exhibited at Walker’s Gallery, London (1923-35).